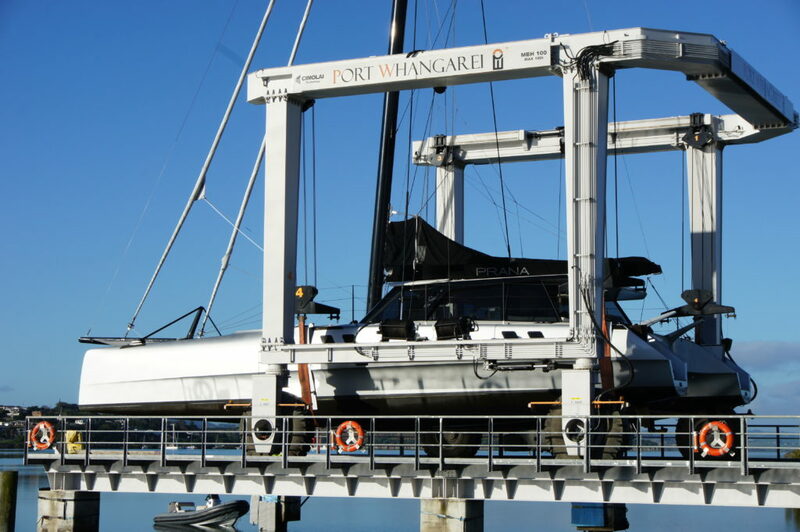 The 18 metre sailing catamaran ‘Prana’ has hauled out at Port Whangarei Marine Centre in New Zealand where she will be decommissioned and put into storage until the owner’s next cruise. 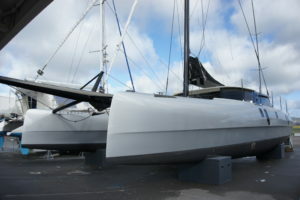 A Gunboat 60 design built by Hudson Yacht and Marine she has to be supported on the hardstand by 4 special one-off hull cradles. These were constructed by Oceania Marine from drawings and CNC cut in their manufacturing facility to ensure accuracy. 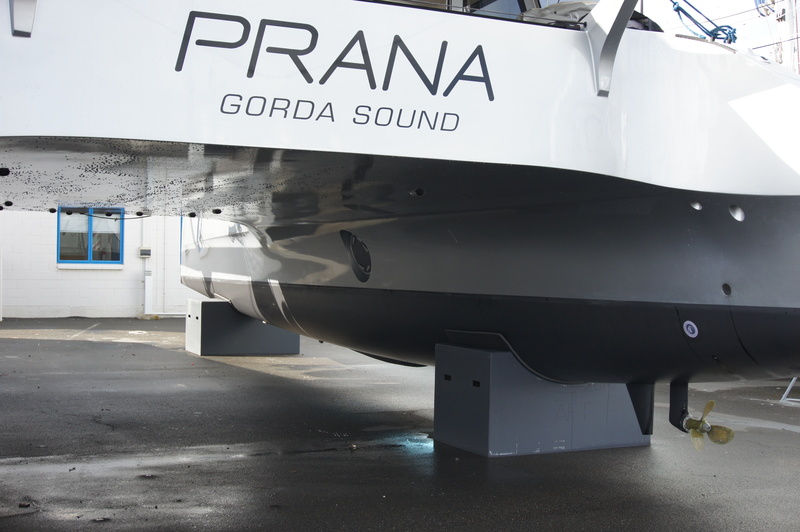 The haulout went smoothly and after wash-down ‘Prana’ is now sitting on her cradles awaiting storage protection. In due course she will be recommissioned for the owners at which time the maintenance list will be completed. The Marine Centre specialises in handling a wide range of sailing and motor multihulls. The 100T travel lift has been configured to accommodate extra wide beams and the sealed hardstand is extensive so that the extra ground space required for them is not a problem.